Models are beginning to converge on a solution, but uncertainty is still not certain. The storm is tracking further west (cutting down on snow totals). Its that first storm model problem again. Last night it had near a foot of snow and tonight the gfs is putting down up to 5". The european and candian models continue to show the storm 20-30 miles west of the track shown in the picture, so that 1-3" amount could be generous if the american model is wrong. Hopefully by tomorrow afternoon's model runs the track will all be similar and we can give some definate snow total forecasts. Also, i said on the map that the storm could move east or west 50 miles, but i dont see it moving very far east. 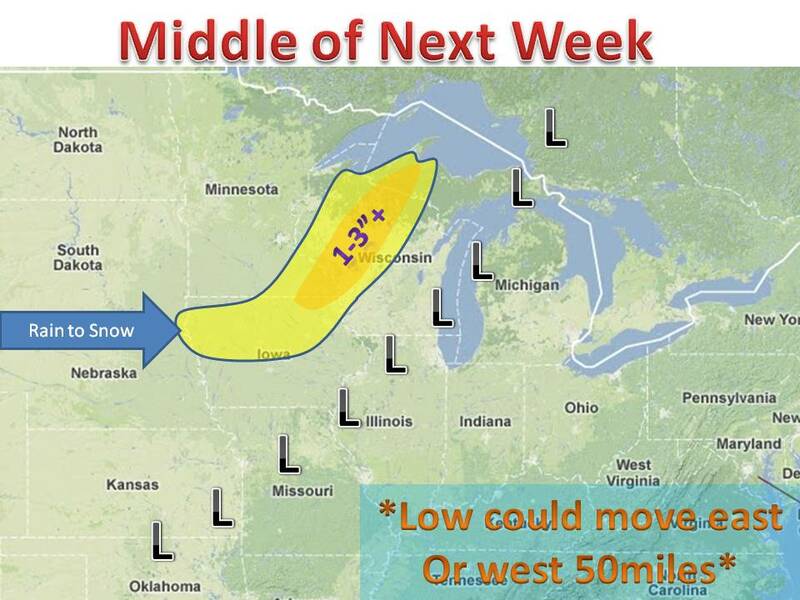 Maybe just east of chicago at most, but would not be surprised to see it over western wisconsin. 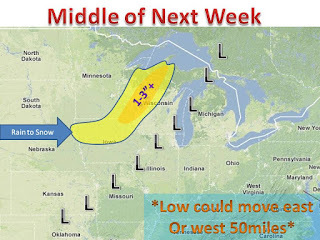 So keep it here to midwest weather talk for updates.